This Father-Daughter duo will steal your hearts. Dare you not to smile and maybe giggle at these photos… too cute! I'm not sure the dog didn't steal the show during this spring Frisco maternity session...! This Denver family came up to Frisco, Colorado for the final days of fall in Summit County and we explored trails + the historic park dotted with yellow leaves. 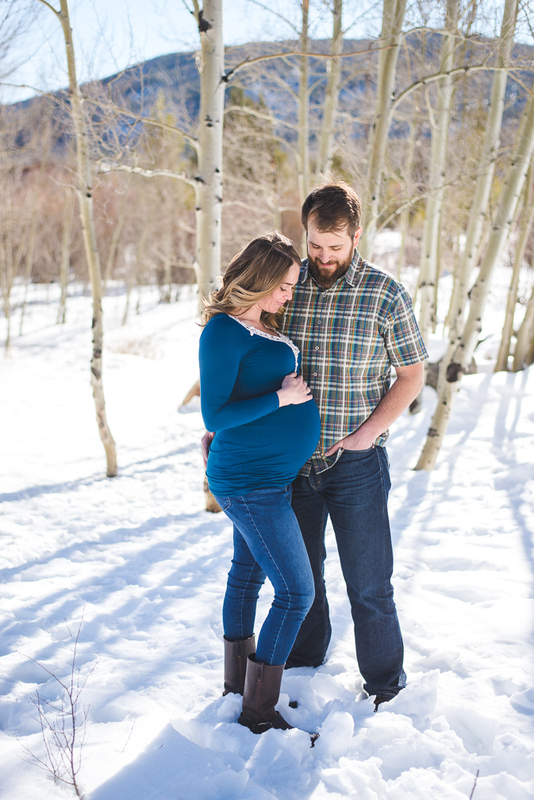 Fall in Frisco, Colorado makes for a perfect backdrop for family photos, especially when there's a new baby in the family! Before the kids headed separate ways to school, this sweet family of four celebrated some important quality time together lakeside on Lake Dillon in Frisco, Colorado. When photographers photograph other photographers at sunrise... magic happens! A chance meeting on a local hiking trail led to an impromptu family portrait session near Lake Dillon in Frisco, Colorado. Props are a great way to spruce up your portrait session. Big or small, even bringing just one extra thing to your session goes a long way!